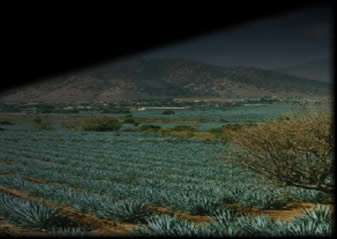 The heart of the agave is the basic element in tequila production. These are taken to ovens where they are cooked. Once cooked they are transferred to shredders that extract the precious juices, or mosto. The liquid is then placed in barrels where the fermentation process takes place, yeast, in 30 to 32 hours, transform the sugars into alcohol. The fermentation juices are then pumped into a traditional potstill where the destillation process takes place. If your desire is a very pure tequila like Azul Blue Tequila, it is of the utmost importance to eliminate the beginning and end of the distillation (these include methylic alcohol). 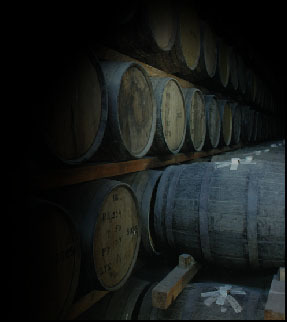 After this process the tequila waits in white oak barrels where it is rested and aged. Here it obtains its color, body, aroma and incomparable taste. Once the time arrives, it is bottled under strict quality control and supervision of the Mexican Government (NOM), the official Mexican Government norm and it is the Tequila Regulating Council who ratifies this by extending the origin certificate. The truth is that agave farming has its roots in pre-Hispanic times. Tiquilino Indians learnt to cook the heart of the plant and ferment the juices. Once the Spaniards arrived, distillation processes were introduced and tequila as we know it today was born. The Blue Agave (Tequilana weber), is recognizable by its pointy leaves and its characteristic color. It is mainly farmed in some parts of the state of Jalisco that have obtained the origin denomination for Tequila.